Repowered with twin Yamaha F150 outboards in 2015! Experience the benefits of what Power Catamarans have to offer, amazing ride, stability and efficiency! The ultimate family sport fishing machine, the 266 takes serious fishing to a new level of style and comfort. Built to endure the forces at work on the open ocean, the 266 is the ultimate in style and functionality in deep water fishing boats. Equipped with full electronics package and repowered with ultra-reliable 150HP Yamaha outboards. She is ready for serious offshore runs or just as comfortable as a coastal cruiser. This World Cat has been updated with new electronics in 2015-1016 which include the following. 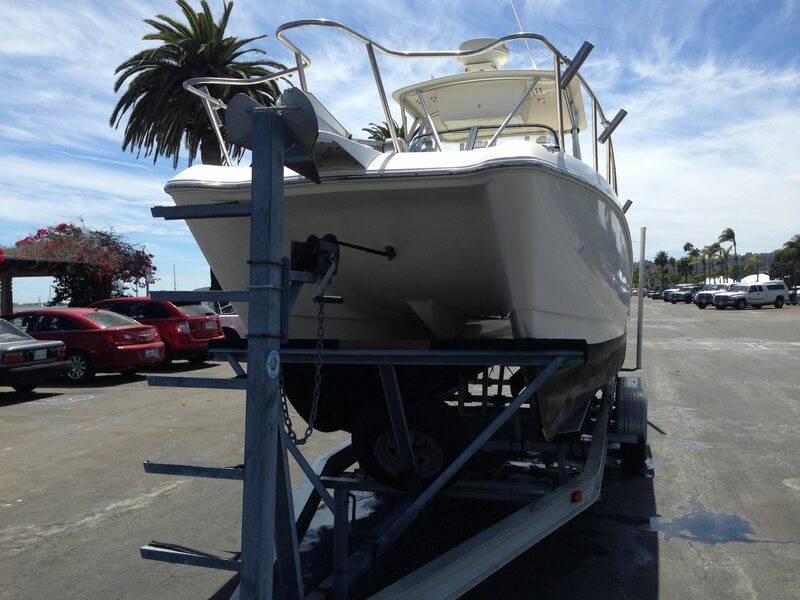 This 266 has been updated with a custom Offshore Bait tank, larger washdown pump and new batteries and wiring. New 4-Stroke F-150 Yamaha outboards were installed in 2015 with all new controls, and harnesses.